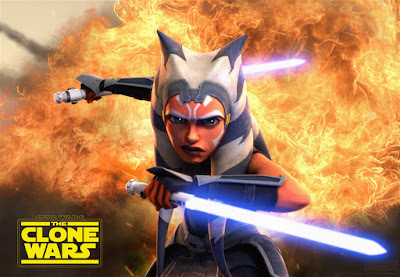 Other interesting details released during the panel include the fact that three episode arcs that will be featured in the new season are the "Bad Batch" arc (which was previously released as a unfinished story reel), an arc about Ahsoka's life in the Coruscant underworld after she leaves the Jedi, and "The Siege of Mandalore". It was also revealed that for Maul's fight scenes in "Siege of Mandalore", Ray Park (who played Maul in The Phantom Menace and Solo) was brought in to do motion capture work. No word yet on when the seventh series will be released, however it will be released on Disney +.